This site is built on the principle of the Wisconsin Idea: that education should influence people’s lives beyond the boundaries of the classroom. 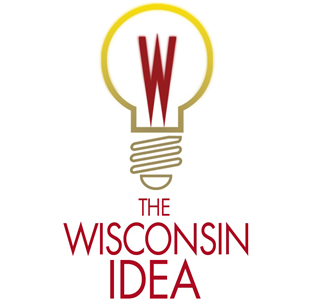 Synonymous with Wisconsin for more than a century, this “Idea” has become the guiding philosophy of university outreach efforts in Wisconsin and throughout the world. To contact Katie about this site or the original course, please email her. Many thanks to Megan Theodoro who helped build the site from scratch. This website aims to be an Open Educational Resource (OER) while also listing and ranking other OERs that pertain to digital marketing. Those OERs deemed to be the best have been integrated into the university course curriculum. Additional OERs can be found throughout the learning resources and blog posts. OERs are primarily developed and utilized to enhance student learning, and to reduce the cost of course-related materials for students (e.g., via ‘open texts’). OERs are also used by faculty and staff at universities to enhance efficiency and save resources (e.g., paper), alter and improve reputations, enhance technological momentum and personalize learning (see Martin Weller’s, The Battle for Open, for a thorough discussion of this topic).